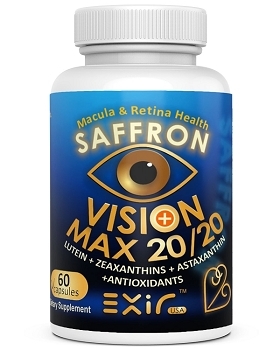 Zeaxanthin out of the three carotenoids found in the nature, is the pigment that gives Saffron its characteristic distinctive yellow, orange and some reddish colors as well as several aromas in the plant that directly absorbs damaging blue and near-ultraviolet light, in order to protect the macula of the retina, the part of the eye with the Sharpest Vision. 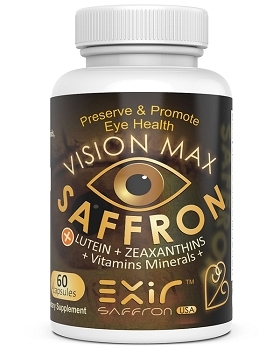 Taking zeaxanthin through saffron dietary supplements increases macular pigment optical density (MPOD) in human eyes – which in turn reduces the risk of age-related macular degeneration (AMD). 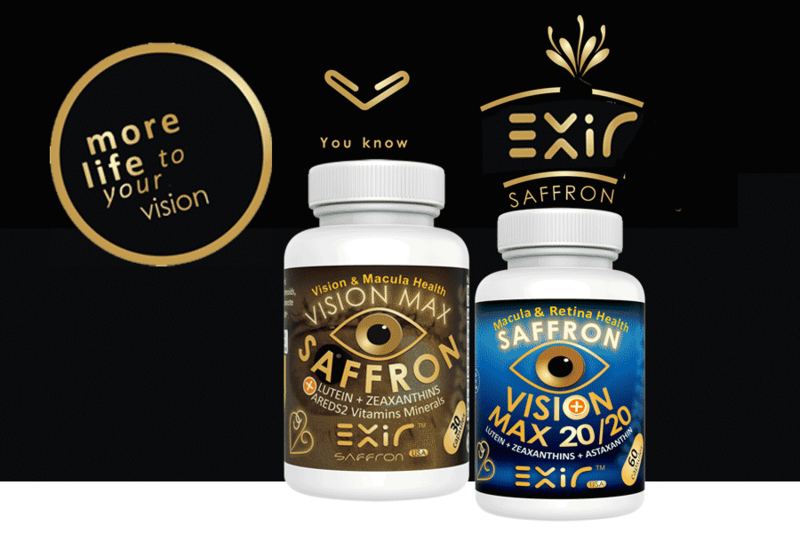 Improves vision in our daily lives, particularly when our eyes are challenged by intense light such as glare from the sun, a camera flash, or blinding headlights at night. Emerging evidence points to zeaxanthin also playing a role in visual performance, it is all about how well we see fine details, if we can distinguish between different objects (contrast) and recover sight after a flash of bright light. They form a filter (macula pigment) over the part of the retina responsible for detailed vision. This filter blocks out blue light and haze from strong light, which in turn increases the eyes’ tolerance for bright lights.